This unidentified man swipes a sign from a house in the 1200 block of Castilleja Ave. in Palo Alto. This screen grab is from one of the videos resident Nelson Ng released to show that the school’s supporters are vandalizing signs. 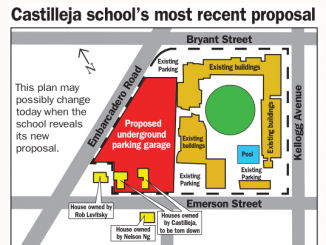 As years of tension over Castilleja School’s plan to expand its Palo Alto campus continue to simmer, disgruntled neighbors have released four security videos showing people knocking over or stealing their signs that oppose expansion of the school. Rob Levitsky, a member of the group Protect Neighborhood Quality of Life, said he and Nelson Ng decided to release the 2017 videos after the private girls’ school announced to parents that they would be pursuing a restraining order against a neighbor who had vandalized and stolen their “We Support Castilleja” signs. Ng’s home security footage shows that the sign warfare has gone both ways: Castilleja supporters have knocked down the anti-expansion signs, too, Levitsky said. “My comment would be, people in glass houses shouldn’t throw stones,” Levitsky said. The Post sent the videos to Castilleja, but school leaders declined to comment on them. The videos were captured on a Nest camera outside Ng’s house on the 1200 block of Emerson Street, across the street from Castilleja, between March and August of 2017. The first video, captured at 1:58 a.m. on March 18, 2017, shows a person walking over from across the street, pulling up a sign from the corner and walking back across the street with it. The second, captured 21 hours later, shows someone walking across the street, pulling up a sign in the same location, then walking away with the sign in another direction. 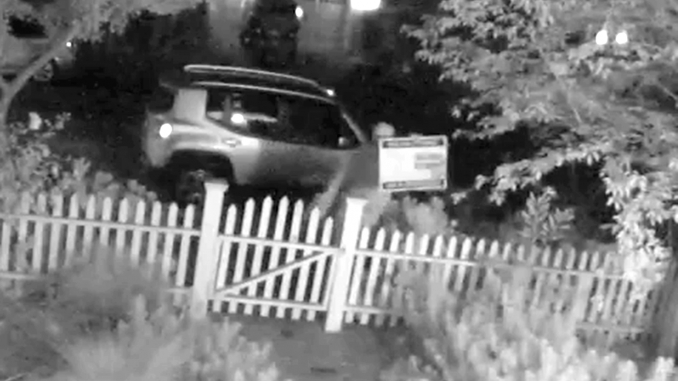 The third video, which was taken at 10:02 p.m. on July 20, 2017, shows a person walking along the sidewalk, snatching the sign from outside the front gate, then walking into the street and running away. The fourth, which was taken at 7:30 a.m. on Aug. 16, 2017, shows a man running past an anti-expansion sign without touching it, crossing the street and then grabbing another anti-expansion sign at a neighbor’s house and running away with it. A fifth video, which Ng showed to the Post but did not provide a copy of because it depicts minors, shows three Castilleja girls appearing to take photos or video of each other kicking the sign. The girls then went inside a house across the street that’s owned by Castilleja. The sign was left intact and wasn’t knocked over or removed. Ng said he didn’t want to focus on the petty actions of sign theft and vandalism, but on the threat that he feels the expansion poses to the Old Palo Alto neighborhood. The school is seeking to tear down and replace five buildings with one, remove trees and add an underground parking garage. The $44,000-a-year school is seeking to increase its enrollment from 434 to 540. 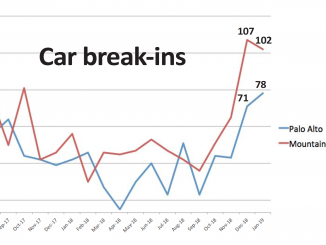 Police spokeswoman Janine de la Vega said that four cases of petty theft and two cases of vandalism were reported at Castilleja last year and one case of “suspicious circumstances” was reported at Castilleja this year, but that case remains an active investigation. Editor’s note: Rob Levitsky is of no relation to the author. Oh yeah, and how do we know that the videos aren’t fake?? Isn’t it convenient that these Anti-Women’s Education Crusaders just happened to have their cameras rolling when the alleged “vandalism” occurred. This smells an awful lot like an inside job meant to discredit people who care about Education in the community! Time to bring in the PA Daily Post’s investigative team!!!! Wake up, sheeple! isn’t castilleja like $45K a year? how many people can afford this such that they need to expand? wow. 1) Casti has long been in violation of its enrollment cap and has the nerve to demand yet another increase on one of our busiest streets. 2) I’m not surprised by the girls’ actions since I’ve heard Casti say that those who oppose Casti’s expansion oppose education for women! If that’s the type of logic they’re teaching, parents should demand a tuition refund. C’mon you nerds get a life….really? Taking a f’in sign down? There is civil war and hunger around the world and Palo Alto goons are fighting about this?? I’m not sympathic toward Castilleja. 1. They knowingly exceeded enrollment despite an order from the city. 2. They demonize those who disagree with their plans saying they’re against educating girls. This is an attempt to silence those who disagree. 3. The school’s supporters gave outrageously high campaign contributions to Council member Lydia Kou in what looks like a local version of pay-to-play. 4. They refuse to consider a satellite campus to allieviate the traffic to this neighborhood. 5. We have too much traffic already and don’t need more. I hope the city denies this expansion plan. We’ll see. The author of this article nor Levitsky has no clue who knocked down the signs referenced in this article. 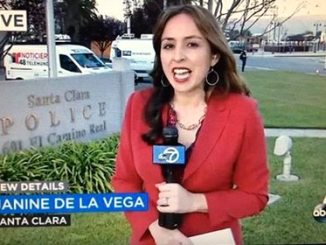 But we do know that an anti-Casti supporter was caught and had to do community service for his vandalism. That is a fact and was admitted to by the person in a prior article. It is pure conjecture that it was a Casti supporter who appeared in these videos. It could have easily been an anti-Casti person doing this, or just some kid ripping down a random sign. I have personally had lawn signs for different causes taken down from my front yard.